A week after calling for a "pause" in the nation's resettlement of Syrian refugees, Lt. Gov. 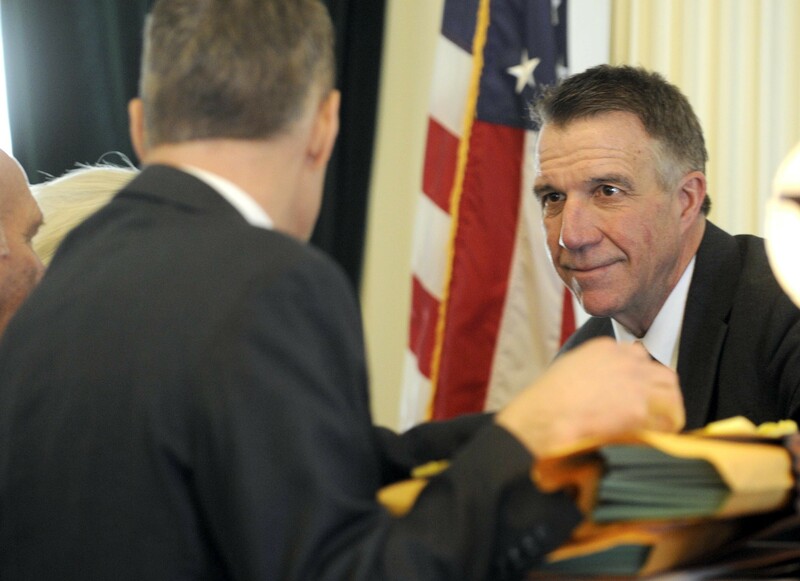 Phil Scott said Wednesday that he now supports the program. "I have personally satisfied my concerns about the process and I am comfortable with continuing with the process," he said. "I think it is safe and well-run and we should continue." Like fellow Republican gubernatorial candidate Bruce Lisman and more than 30 governors across the country, Scott questioned the security of the program after the November 13 terrorist attacks in Paris, allegedly perpetrated by members of the Islamic State of Iraq and Syria. But as WPTZ's Stewart Ledbetter first reported Tuesday, Scott had a change of heart after taking part in a U.S. Department of State conference call last Friday and meeting with Vermont Department of Public Safety officials Tuesday in Waterbury. The meeting included DPS Commissioner Keith Flynn and Deputy Commissioner Joe Flynn. "I learned a lot from [DPS officials] about where some of the security risks really are," he said, pointing to student visas and the Canadian border as areas of concern. "I came away being much more comfortable than I was and having a better understanding of what that process is. I've also reached out to the [Vermont Refugee Resettlement Program], hoping to meet with them as well." Though Scott said he no longer believes the resettlement of Syrian refugees should be put on hold, he insisted Wednesday that his position had not changed. Rather, he argued, he had obtained new information that satisfied reasonable concerns. "From my standpoint, my position hasn't changed. I've said we should pause until we can verify the process and ensure it's safe. And that's what I'm doing," he said. "To dismiss the fears of many and to dismiss the questions about the safety concerns brought by many — to say, 'Trust me' — I don't think that's good enough." Since disclosing his position to Vermont Public Radio last week, Scott has been the focus of intense criticism from Democratic gubernatorial candidate Matt Dunne and the Vermont Democratic Party. Scott pushed back against those comments Wednesday. "I feel that both sides have been trying to incite this fear and anger among everyone. Just throwing more gas on the fire isn't going to solve the problem," he said. "I think real leadership isn't about inciting fear and anger. It's about trying to educate people and communicate with people and give them faith and trust in the system. The people who are using it on both sides for political purposes and partisan purposes — it's just disappointing." But according to Vermont Democratic Party executive director Conor Casey, Scott has it backward. "You know what? There's only one side that's been fear-mongering throughout the refugee debate — and that's those who cite security concerns about Syrian refugees, which I think did a lot of damage," he said. "We're certainly happy that [Scott] has evolved on the issue. However, it's taken him a little bit of time to come around," Casey continued. "We feel like that should have been a judgment call he could have made immediately."